When we finish our education and move into the world of work, it feels like the learning structures of our childhood are gone forever, allowing us to break out of the shackles of the classroom and forge our own professional path. But most of soon realize that, in fact, the learning process has only just begun. From sussing out the niche industry of a startup to adjusting to the complex, company-specific software used by big firms, education and training never really stops. That’s why a whole industry of learning platforms has opened up, designed to assist both educators and students alike. With both of these parties in mind, we’ve rounded up the very best learning software available so you can find a solution that suits either your personal needs or that of your organization. Docebo is a Learning Management System (LMS) that helps you organize, track and distribute online courses for formal learning, be it for employees, clients or customers. Instead of simply offering a one-way broadcast in its teaching solutions, Docebo encourages collaboration by allowing employees to ask questions and get answers from the relevant subject matter experts in their organization. Learners also able to share their own knowledge which can be validated through peer-review and shared across teams. To help platform administrators effectively manage their organization’s skill and competency gaps, the Docebo Perform tool lets you assign formal and informal training sessions to those who may need upskilling in certain areas. The system is customizable too, so you can give it the appropriate look and feel according to your organization’s brand. Docebo sports a slick, easy-to-use UI and comes with a wide range of third party integrations, so implementing the platform in your organization’s training schemes should be a smooth process. You can get a quote for a Docebo price plan via the link below. Udemy is well-recognised name in the world of online learning and now boasts over 15 million students, poring over more than 65,000 available courses. The platform is completely free to use but involves a tiered revenue share scheme in which Udemy takes a percentage cut from students you have acquired via the platform. In some cases, the instructor can still keep up to 97% of the net revenue. Meanwhile, organizations looking to utilise the service for a sustained period of time can opt for a Udemy for Business account. This unlocks more than 2,500 business-relevant courses designed to up-skill employees in specific areas. You can also measure learning engagement to find out what materials work best for individual employees, with insights on user behaviour and learning patterns. The Team Plan for 5-20 users costs $240 (£182) per user per year and can be scaled and customised according to your team’s needs. Skillshare describes itself as an online community for ‘creators’ and anyone who wants to teach can set up a class. These classes, some 21,000 of them, typically specialize in design, photography, business, technology, film and writing. There are more than 3 million people in the Skillshare community, offering the chance to connect and share insights with people from various industries – a potentially valuable tool for freelancers and those who work in a niche industry. The platform encourages ‘doing’ rather than learning passively, with every class including a practical project with feedback on completion. Skillshare can be used by teams too, with usage reporting tools enabling you to track the progress of team members. Price plans start at $99 (£75) per user per year, but with discounts available to organizations looking to sign up large numbers of employees. WizIQ is aimed more squarely at the teachers rather than students, offering virtual classroom and LMS software to those looking to teach and train others. With WizIQ you can create and sell interactive courses than be delivered as live classes or as materials to be studied at the pace students wish. These can be easily converted to MOOCs (massive open online courses) to maximise student enrolment around the world and grow revenue streams. In terms of using WizIQ within an organization, users can create branded learning portals to train employees, clients, partners and customers via online tutorials or live classes. The design features are pretty extensive and easy to use for those keen to give their training courses a polished, professional feel. Conveniently, all classes can be enjoyed on the go via the WizIQ app for both iOS and Android devices. The platform is available in three price packages, with VC Essential priced at $27 (£21) per month, VC Extended at $43 (£33) per month, and VC Enterprise costing $68 (£52) per month. 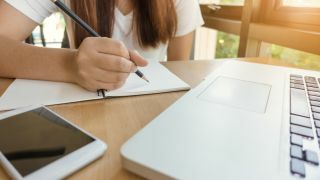 Not many corners of the software world are left untouched by Adobe, and sure enough the computing behemoth has its own solution for the learning management market. Adobe Captivate Prime is an LMS platform for the enterprise that aims to make training easy-to-run and enjoyable to complete. According to Adobe, courses can be rolled out in less than 90 minutes thanks to its suite of tools to get you set up. An online help center, in-product videos and 24/7 support also serve to help administrators on their way. Further smoothening the process are automation features than enable you to auto-assign learning plans, schedule reports and synchronize users. Once the learning programs are set up, tracking tools allow you to monitor the progress and certifications obtained by users, with added insights showing how individuals, departments and partners are doing with their learning objectives. Other features include a flat UI for easy control and navigation without opening multiple pages, a recurring certifications feature that ensures your organization stays up-to-date on compliance, the ability to customize the learning experience for individual users, and gamification tools like leaderboard races and achievement badges. Prices start at $4 (£3) per user per month. Canvas LMS is aimed at higher education and prides itself on prioritising usability and reliability over supplying endless features. It’s an open source platform that invites collaboration and third-party plug-ins and is fully customizable for the user’s speciric learning needs. Create LMS is a multifaceted learning platform. It provides an LMS to track and process the training of employees, a custom courses tool to help you build your learning materials, and a library of readymade courses that number more than 20,000. Another player on the LMS scene is Litmos. It’s easy-to-use interface and bank of pre-built courses provide a platform for employee training, customer training, channel training, and compliance. Totara Learn is a feature-chock learning platform that claims to offer better value for money than proprietary services on the market. It enables users to create individual learning plans which reflect employees’ roles, training needs and objectives. Complete with an ecommerce tool for monetizing your courses, automation features for easy administration and reporting dashboards that offer handy organization-wide insights, Absorb LMS is a worthy candidate for a company seeking out a high-quality learning management platform.